Keysight has introduced 200 MHz, 4-channel models of the InfiniiVision 1000 X-Series oscilloscopes. 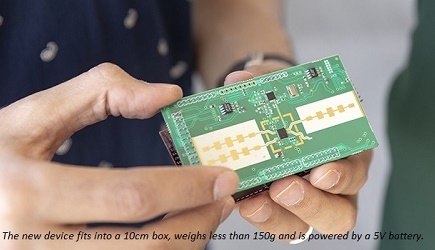 They provide professional-level measurements and capabilities at an affordable price, including 4-wire Serial Peripheral Interface (SPI) decode and remote connection via local area networks (LANs). The new InfiniiVision 1000 X-Series oscilloscopes use the same user interface and measurement technology found in the higher performance Keysight InfiniiVision oscilloscopes. The intuitive front panel is easy-to-use and features built-in help enabling customers to quickly understand oscilloscope functions and improve overall test efficiency. Seventeen complementary training signals are preloaded to ensure rapid use of the advanced measurement and analysis capabilities inherent in the InfiniiVision 1000 X-Series. These training signals can also be used in conjunction with the free educator's training kit, which includes a comprehensive oscilloscope lab guide and oscilloscope fundamentals slide set.